Serve up a fiesta with this easy slow cooker tamale casserole recipe! 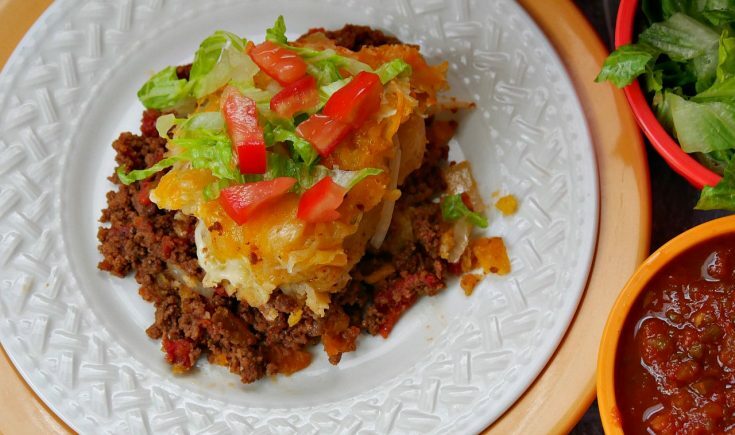 Prepared cheese tamales are layered with chili cone carne, onions, corn chips and cheese. An easy dinner recipe that's ready when you are! I had never had a tamale until we moved to Arizona over 10 years ago. I went 28 years of life without tamales. That's just sad. 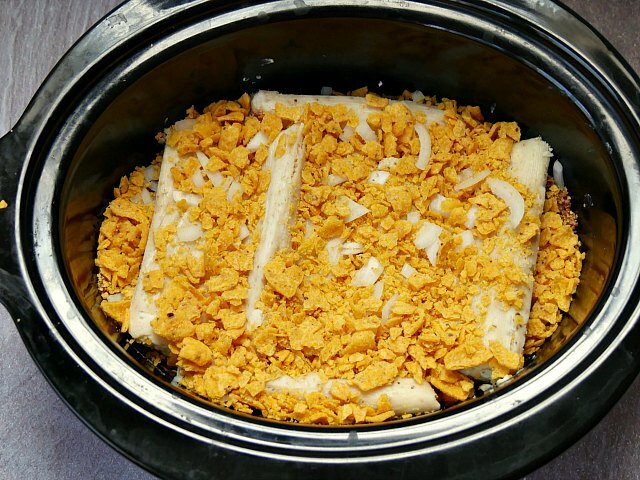 If you've never had tamales, slow cooker tamale casserole is a great place to start. Tamales are made with a corn dough that's filled with either meat or cheese. Corn husks are then wrapped around the dough and then steamed. You can totally make your own tamales, but it's a lot of work. So I used prepared tamales. 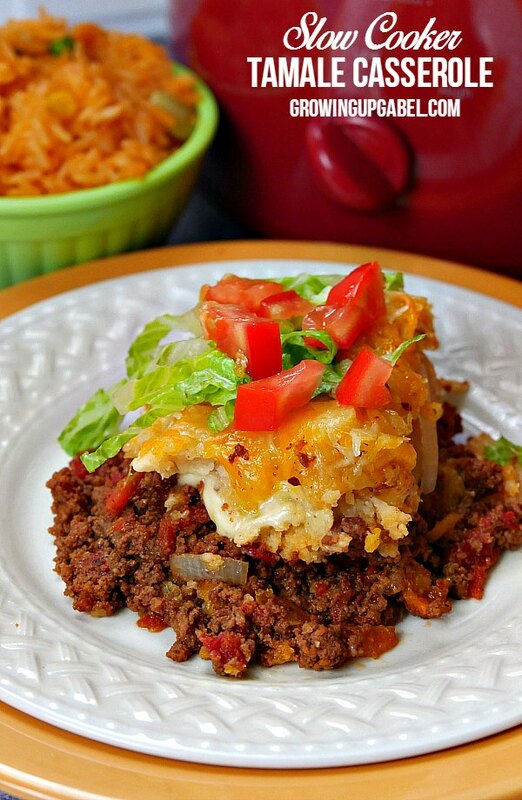 The tamale casserole starts with a layer of chili con carne. NO BEANS. Make sure the chili is very saucy and not dry. I used my coney dog chili and it was just OK. My guess is that good old canned chili from the store is the best option. Lay the tamales on top of the chili. 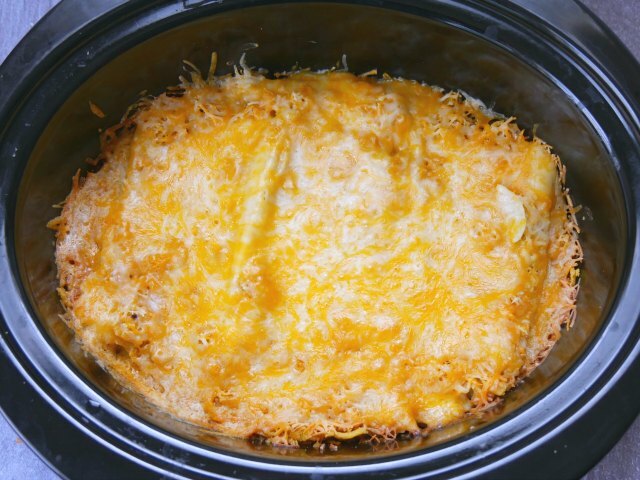 I used a 6 quart slow cooker for this casserole. It might fit in a 4 quart. Just use less tamales. The next layers are fun! Add roughly chopped onions over the tamales. I almost skipped the onions because of the kids but they didn't even notice them. Next is a layer of chips. I used corn chips but tortilla chips would work fine, too. Make sure to crush them up fairly fine. And it's not a casserole without some cheese. Use cheddar cheese or a blend. I used a “Mexican blend” of cheddar and Monterrey jack. Add about a cup now as the casserole cooks. Cover and cook on low. In the last 30 minutes of cooking, add another cup of cheese. The cheese will start to brown around the edges and it's fine. Mine didn't burn but you may want to watch that because every slow cooker is different. Once the cheese completely melted, the casserole is ready. To serve, just scoop out the layers on to a plate. Top with shredded lettuce and diced tomatoes. 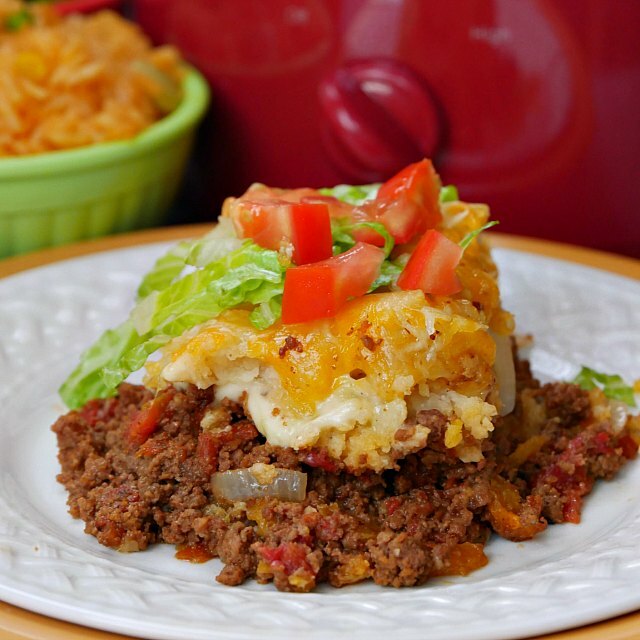 Serve with rice, refried beans, guacamole and salsa. 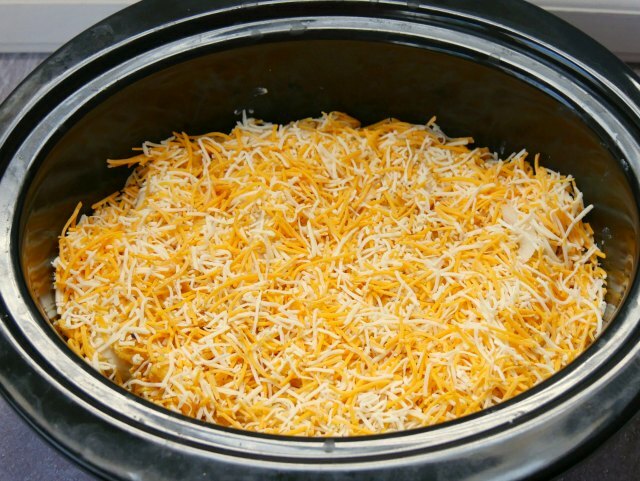 Empty the cans of chili in to the crock of a 6 or 8 quart slow cooker. You can also use a homemade chili con carne, but make sure it is saucy. Spread the chili con carne over the bottom of the slow cooker. 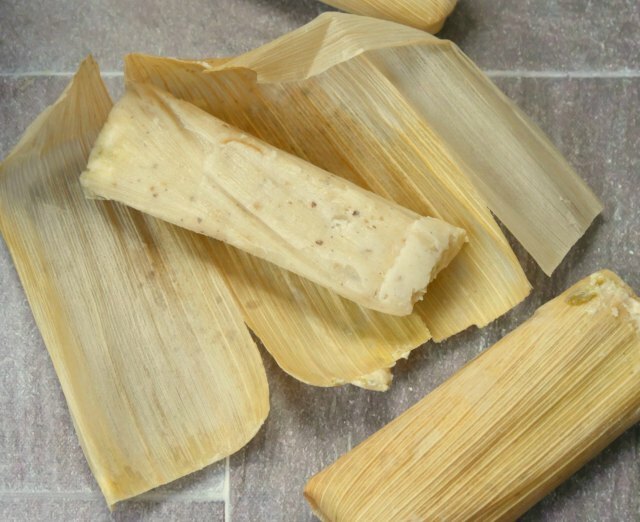 Unwrap the Del Real Cheese Tamales from the corn husks. 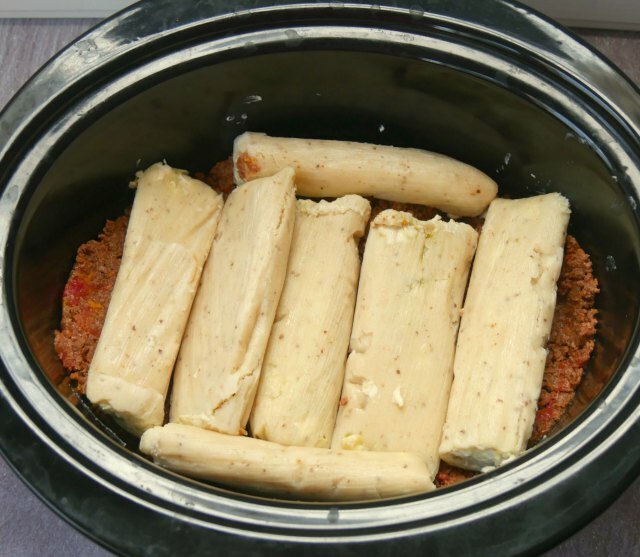 Lay the tamales over the chili the length of the slow cooker. 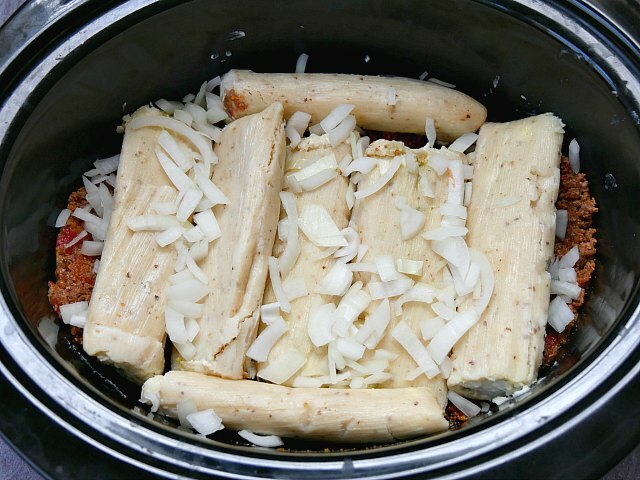 If the slow cooker is small, you can also cut the tamales in half or in to small pieces to fit. Sprinkle the onions on top of the tamales. Place the chips in a plastic bag and use a rolling pin to crush. Scatter the crushed chips on top of the onions and tamales. Sprinkle 1 cup of the cheese over the top. Cover and cook on low for 3 1/2 hours. Remove the cover and sprinkle the remaining 1 cup of cheese over on top. Replace cover and cook for another 30 minutes. Serve with shredded lettuce, diced tomatoes, guacamole, sour cream and salsa. 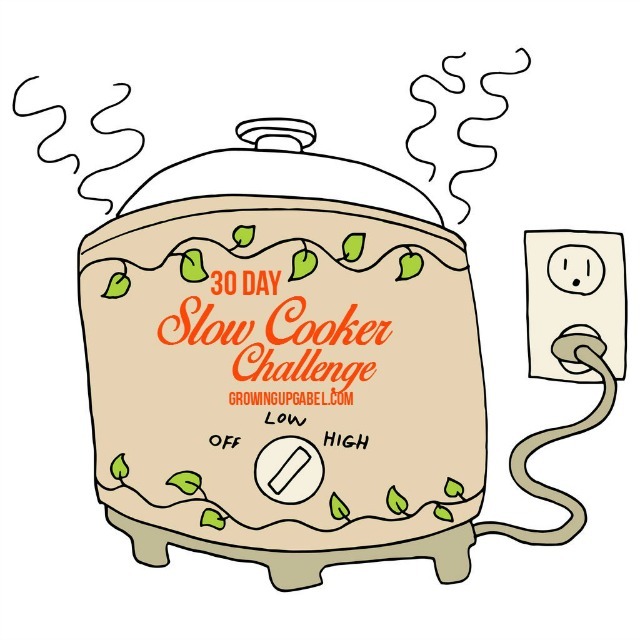 30 Day Slow Cooking Challenge! What a very interesting recipe! It looks like it would be delish. Thanks for sharing with us at Throwback Thursday! I love tamales and this recipe looks soooo delicious! Pinned and printed! This recipe is perfect for those busy summer days! Definitely giving this one a try. Thanks so much, Janet! Enjoy! This looks so simple!! Thanks for sharing on the What’s for Dinner link up!